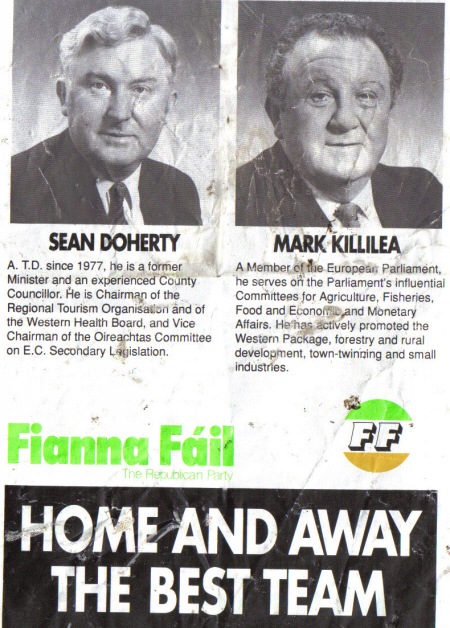 Sean Doherty and Mark Killilea from the 1989 Euro Elections. 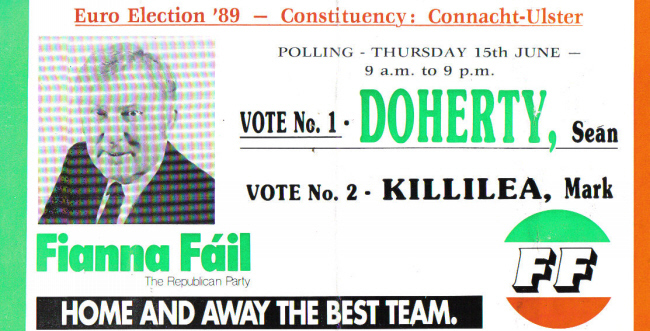 Killilea was elected. 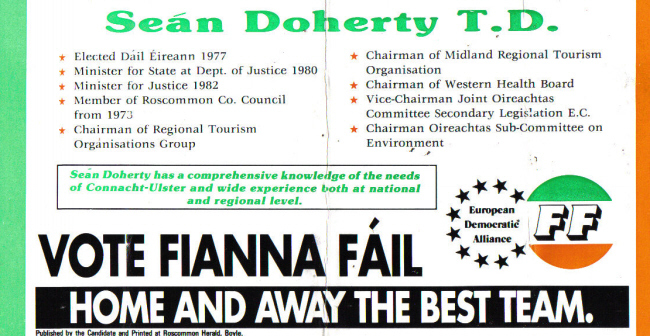 Doherty will always be associated with the phone tapping scandal and later on that interview on Nighthawks’ that led in part to Haugheys downfall…. 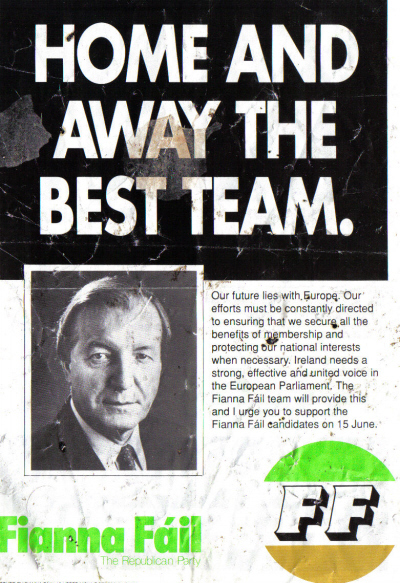 and yes I did pick the second leaflet off the ground.